CAUTION: The service module panels are not meant to be jettisoned, which is why the the staging for it is at the very end after the parachutes. If you attempt this, most of your RCS thrusters will fly away with the panels. After learning how to orbit Kerbin, the Kerbal Space Agency began a series of missions to learn how to perform more complex maneuvers in space, such as rendezvous & docking, multi-day flights, and ExtraVehicular Activities (EVA). A larger Mk2 capsule was designed for this purpose, while carrying two kerbalnauts to orbit and back. 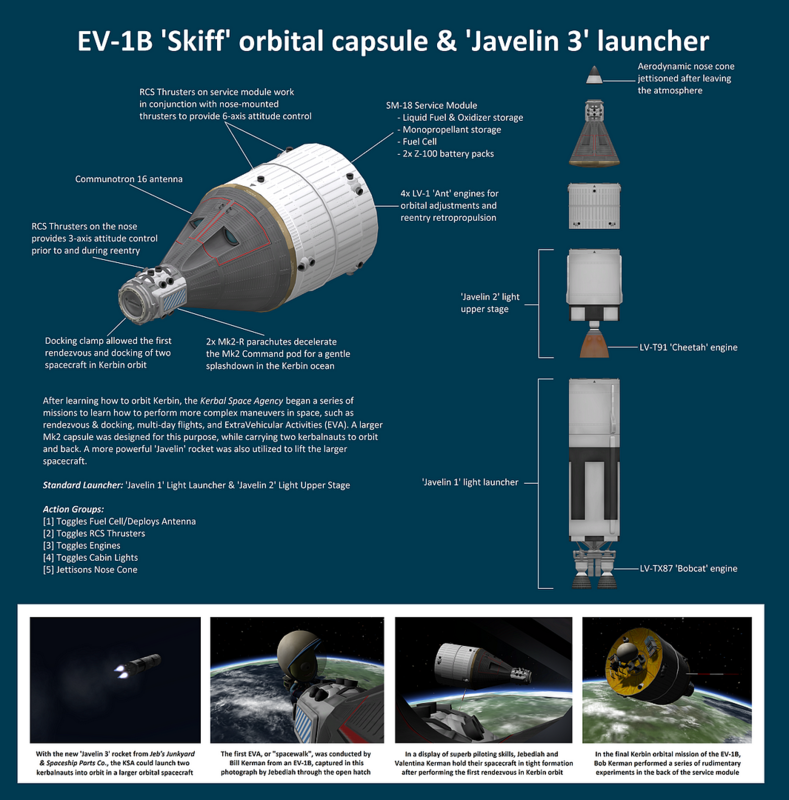 A more powerful ‘Javelin’ rocket was also utilized to lift the larger spacecraft.